I’d like to introduce you to my Mom–the fabulous Kathleen–who is contributing to a post for the first here at Darling Darleen, and I hope not the last! She is my mentor in so many ways. I love her to pieces! She has taught me the importance of living and eating healthy. 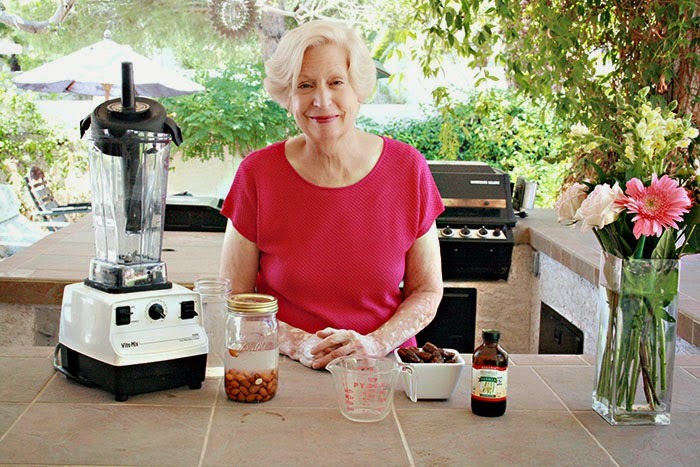 Growing up, it felt like I lived in a health food store–daily vitamins, herbs, only filtered water, lots garden vegetables, freshly picked fruit, whole wheat everything, no refined sugar, tofu in everything. Although not a popular concept at the time and I would secretly eat white bread slices at our friends’ houses, I am so grateful she taught me good healthy eating habits. 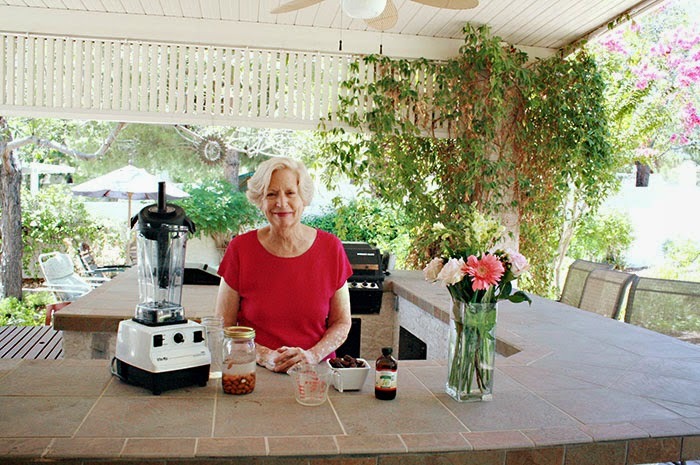 Many of my homeopathic healing tips have been taught through her and she learned many of her ideas through her mother! We just got back from our annual Vegas trip to see family, and one of my favorite things to drink is my mom’s yummy homemade almond milk. We love it and it’s so sweet and healthy! My kids like it on their morning cereal or just an afternoon treat. My mom told me I need to start making it for my family, and I gave the excuse that I didn’t have the recipe…which leads me to this post! 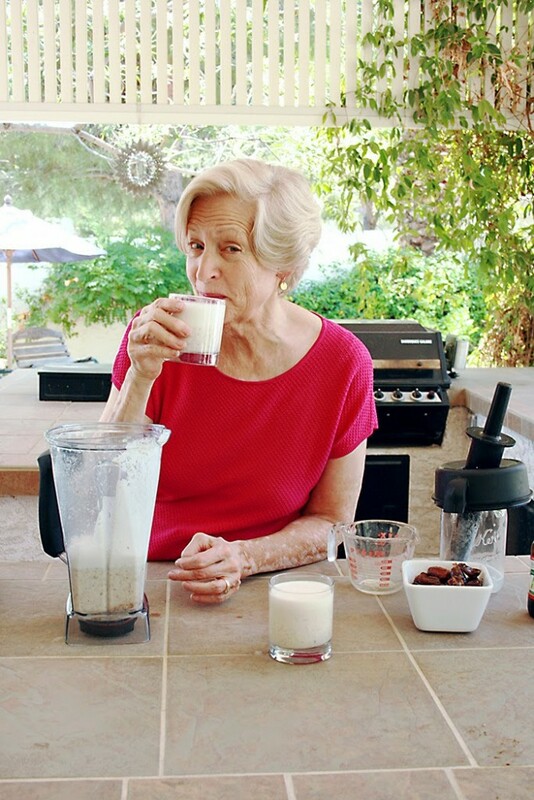 We made the milk in her outdoor kitchen. It’s that simple. 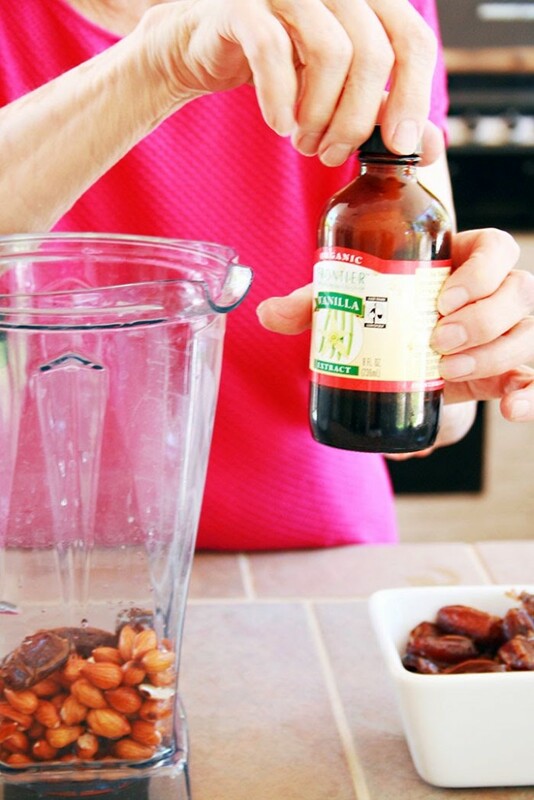 With a little preparation, this easy recipe is just a click of the blender. 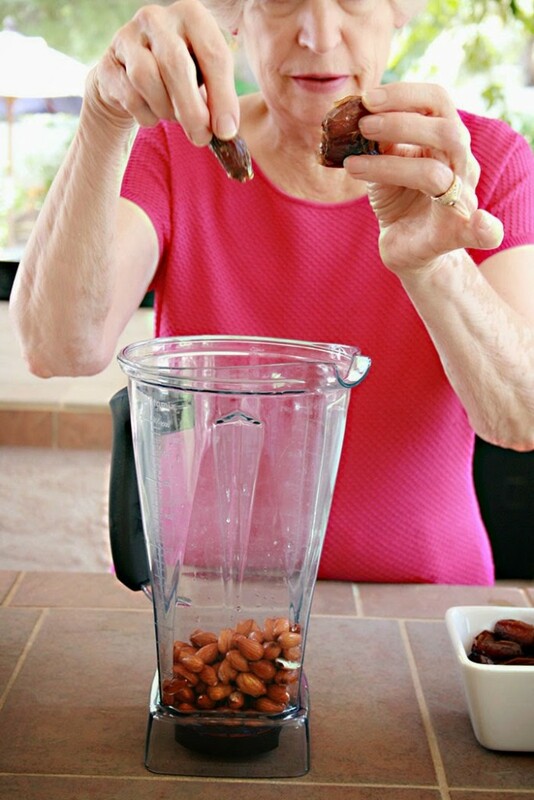 Raw almonds. If they aren’t raw, the almonds are irradiated meaning less nutrients and more chemicals. 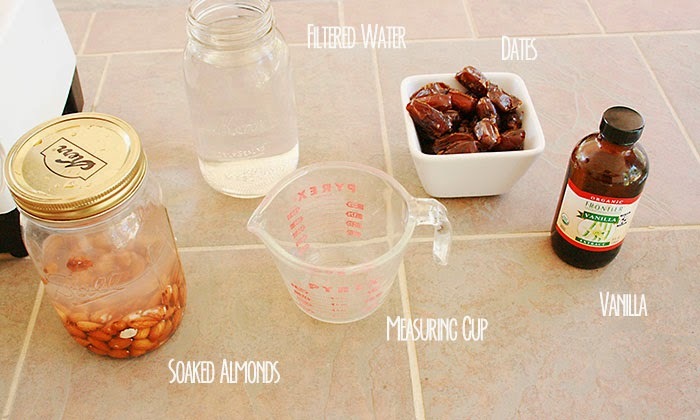 Soak the almonds in filtered water over night in a quart-size jar. Why soak? 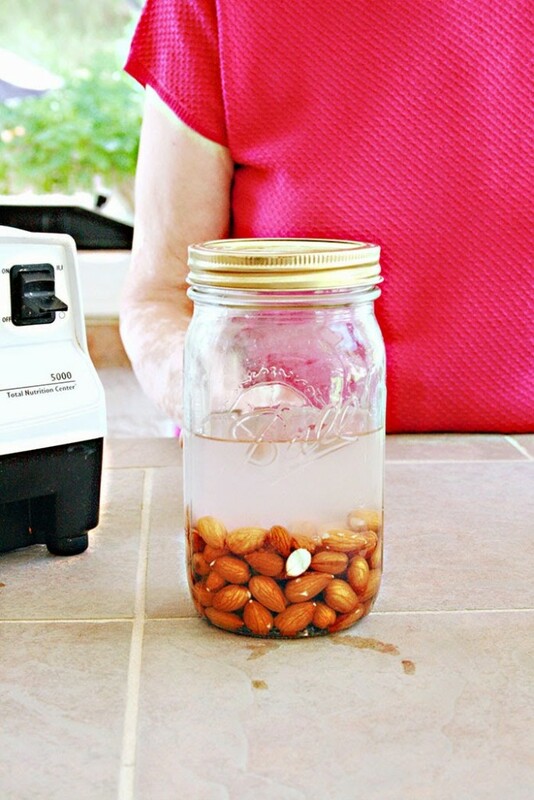 Soaking plumps them up, and it’s a way for the almonds to sprout and bring life to the nut, which means more nutrients. You will see on the end of the almonds a white little spot on the pointy end which means it is starting to sprout. 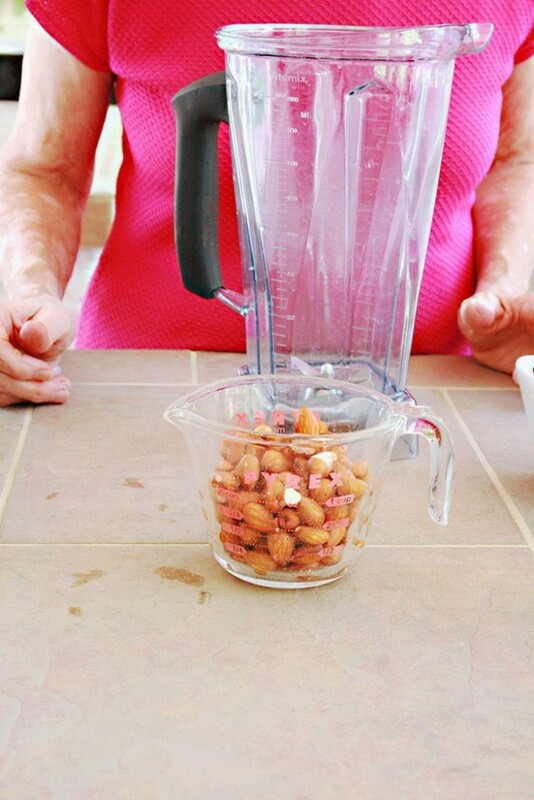 After soaking, measure out 1 cup of almonds and pour into your blender. 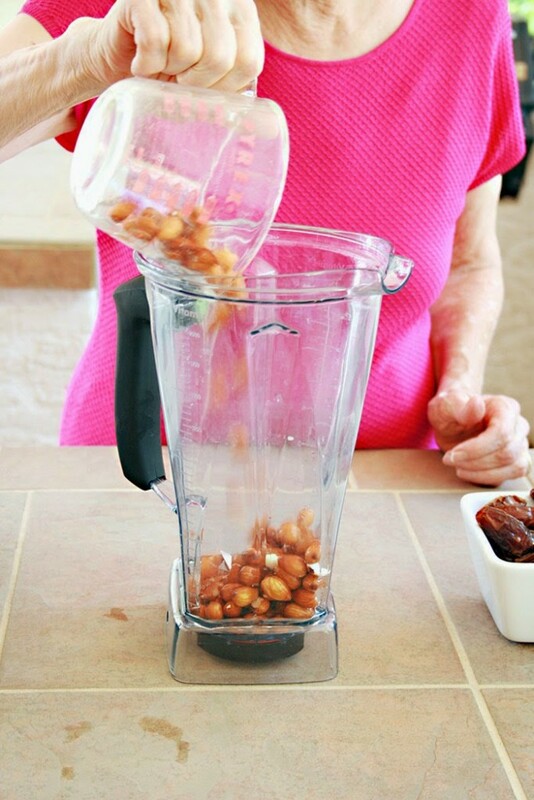 Add your 4 cups of filtered water and put the blender on its base. 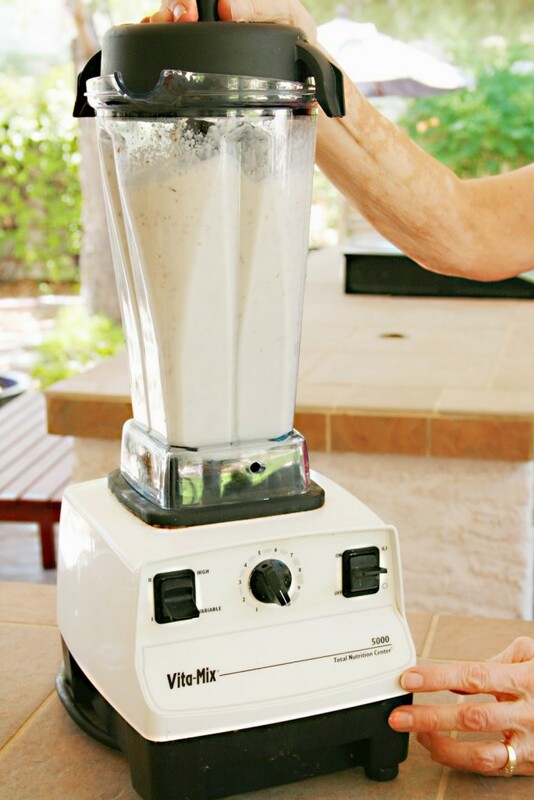 Start the blender and blend, blend, blend! Isn’t she the cutest! 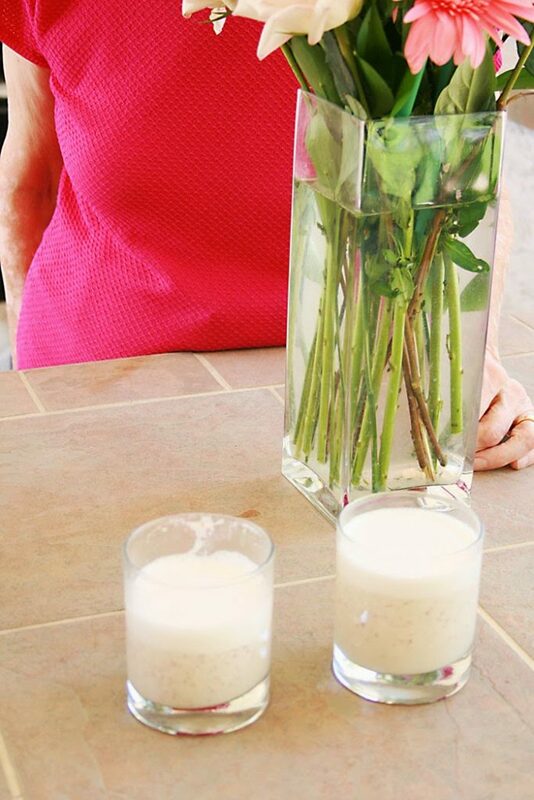 Here are some fun facts I learned about my mom while making some homemade almond milk (but really I already knew). She doesn’t follow a recipe. It’s all in her head! Just throw it all in and blend! 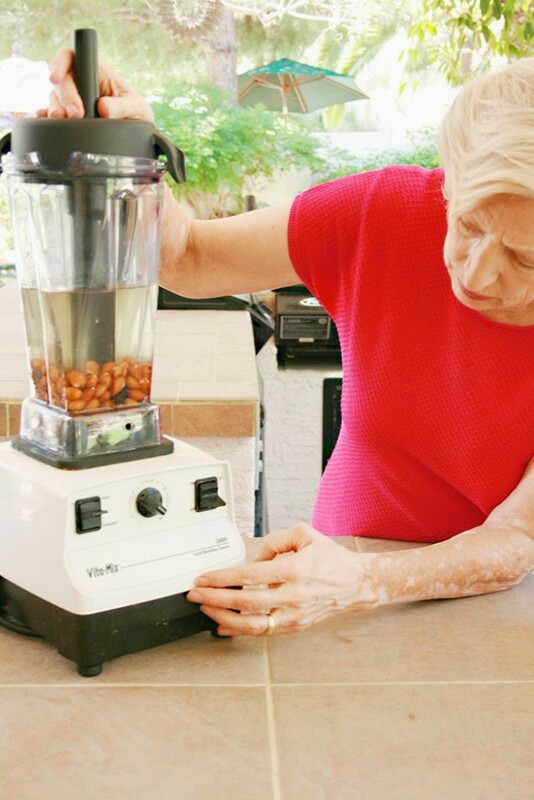 She would make a fresh batch of almond milk every morning while we were there. 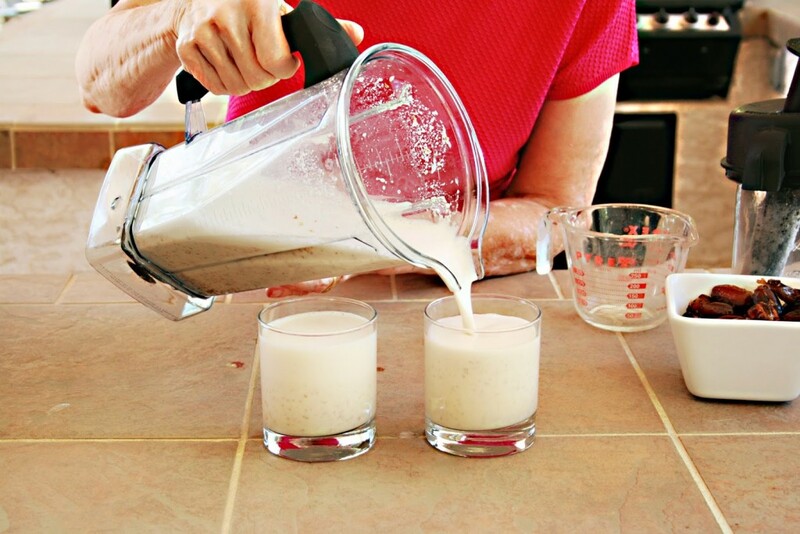 Thanks mom for teaching us all about Homemade Almond Milk. Mwah! This looks SO yummy! I am for sure going to try it…how could I not? It's so easy! Thanks for sharing! As to your white bread secret…..we loved going to your house where we got homemade bread and family prayers in the hallway!